The hashtag wave seems to have gripped brand marketing plans. Whether one talks of creating awareness, increasing visibility, showcasing content or encouraging audience participation, brands increasingly believe that creating a hashtag, or even latching onto trending user generated ones, works wonders. Looking back, the #IceBucketChallenge in 2014, the longest running social media challenge, is a fine example of the prowess of a hashtag. Over 17 million people participated in it. The hashtag was created to promote awareness about the amyotrophic lateral sclerosis (ALS) disease. Closer home, #HumFitTohIndiaFit, initiated by Union Minister Rajyavardhan Rathore, could be credited for stirring a fitness movement in India — celebrities, brands and commoners participated with much gusto. Brands have been swift to piggyback on trending hashtags. 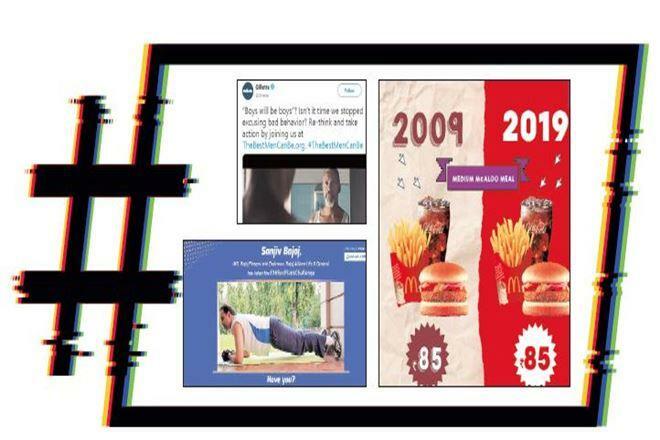 The latest #10YearChallenge has seen brands such as McDonald’s, Durex, Acer, Oppo Mobile, Airtel, Amul and Fevicol, among others, post their respective ‘before and after’ updates on social media. Treating the #10YearChallenge differently, McDonald’s slashed its menu prices to what they were 10 years back, for 10 days, in an attempt to go beyond just posting a picture. “We wanted to reinforce that while we have evolved over the last decade, we continue to deliver unparalleled value,” shares Akshay Jatia, GM, brand extensions, Hardcastle Restaurants. Or consider how in September 2018, Bajaj Allianz Life Insurance started a consumer engagement initiative called #36SecPlankChallenge, to promote its 36 critical illnesses coverage. The viral campaign garnered 1.23 lakh mentions. 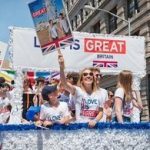 Examples of interesting hashtag campaigns by brands are aplenty: from Coca-Cola’s successful #ShareACoke to Lay’s’ #DoUsAFlavor, L’Oreal Paris’#WorthSharing and Disney’s #ShareYourEars. Then, there is also a set of brands that brazenly incorporates their names in a hashtag. Cases in point? Calvin Klein’s #MyCalvins and Audi’s #WantAnR8. Cost, or the lack of it, is another draw for marketers. “Hashtags generate curiosity and brands are benefitted without investing a significant amount of money,” adds Mehra. But the benefit can last only as long as brands keep the conversation going. Latching on to a trending hashtag has its merits, says Harish Bijoor, founder, Harish Bijoor Consults Inc. “By doing so, the brand gives itself the very width of that hashtag in terms of viewership. It is vital today to be seen first and then probed and heard,” he adds. However, a hashtag could do much more than just help brands stay relevant in the minds of consumers. “When you are constantly in the consideration set of potential and existing consumers, that in itself is part of a long-term strategy,” Bijoor says. Experts believe that a hashtag makes sense for all brands, as long as it’s timely, appropriate and relevant. “A hashtag is not a broadcast; it’s a narrowcast to an audience and, therefore, far more effective,” says Jagdeep Kapoor, chairman and MD, Samsika Marketing Consultants. There is a concentrated effort to promote and hence, the recall becomes very strong. “A hashtag is a tactic, but a series of hashtags can be a strategy. It builds awareness, recognition, recall and sales for a brand,” Kapoor adds. Crafting a hashtag in a way that it doesn’t get misinterpreted or ruffle feathers is key. Recently, Gillette launched a powerful campaign titled ‘Boys will be Boys? Isn’t it time we stopped excusing bad behavior?’ that has garnered 29.8 million views so far. The campaign, driven by #TheBestMenCanBe, was Gillette’s appeal to ‘shave off toxic masculinity’ and dissuade men and the next generation from harassing, mistreating and bullying people. While many appreciated the thought behind the campaign, it also received backlash by men who thought it promoted stereotypes and maligned masculinity. “The general tendency of a brand is to be visible, but what if it’s visible in the wrong sense? Brands have to be careful about which trend they pick up. While it seems very normal for a brand like Gillette to touch upon this issue, especially after the #MeToo movement, it could also be seen as insensitive,” points out N Chandramouli, CEO, TRA.